Chad Stalter, MSPO, CPO, is a certified prosthetist orthotist at the Ability Prosthetics and Orthotics facility in Mechanicsburg, PA. Chad was exposed to the field at an early age because his older brother was diagnosed with cerebral palsy and he wore orthotic devices. 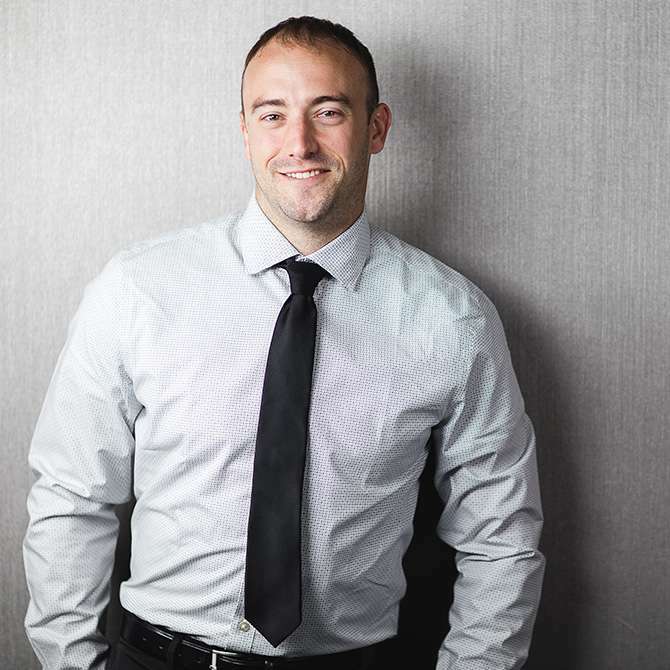 After receiving his bachelor’s degree in Kinesiology from State University of New York (SUNY) Cortland, Chad decided that he wanted to pursue a career in orthotics and prosthetics. He worked as an American Board for Certification (ABC) certified orthotic fitter for two years. He then continued and received his master’s degree in orthotics and prosthetics from California State University-Dominguez Hills and completed his residency at the Ability facility in Hanover, PA.
Chad is the managing practitioner of the Mechanicsburg, PA office and is excited to be part of the Ability team. He loves making a difference in people’s lives, as well as expanding his knowledge of the profession. Since joining, he has become proficient in high technology devices such as the BionX EmPOWER, the Freedom Kinnex microprocessor feet, and the ÖssurRheo microprocessor knee through additional continuing education courses.